With the rapid development in home and business security cameras, Accton would like home and SMB users to take advantage of our cloud-based video surveillance system solutions that give you peace of mind at your fingertips. Through high-resolution 1080p IP cameras with stylish design, a free Secure Watch Mobile application, and affordable monthly cloud-based storage plans, you can monitor your home, properties, small offices, deliveries, restaurants, warehouses or retail stores from your smartphone, PC, or tablet. Users can simultaneously monitor multiple locations, including remote facilities – all you need are IP cameras and a broadband connection. View, communicate with and protect your pets, family, elderly, and employees as they respond to events or situations 24/7, with off-site, protected long-term video storage. The SMC2030W-H provides live-view monitoring, a large viewing angle lens and two-way audio for communicating through the camera. 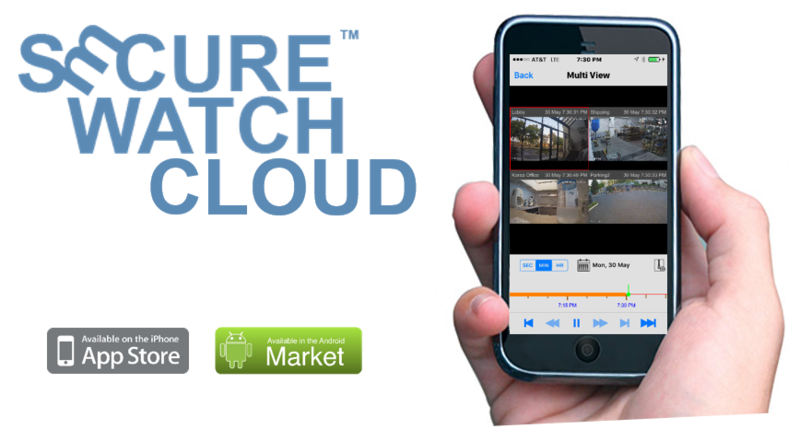 Lets you view live and recorded video obtained from SMC cloud video surveillance cameras anywhere, anytime. Video streams are stored on SD memory and the cloud. 24/7 off-site protected long-term video storage.